Living room table, counter, TV, satellite TV, free-WIFI, safe, kitchen, refrigerator and mini bar, toaster oven, kitchen sets, Hollywood twin bed (wide120cm×200cm Twin bed or wide240cm ×200cm king size bed) air-conditioned bedroom, ceiling fan in living room, open bathroom(with tub),hot shower, dresser, amenities, towels, hair dryer, fragranced oil set, cotton robe, slippers, umbrella, business desk, wardrobe, closet, terrace, chair, end table, stock room, bathroom with a direct path leading from the pool. 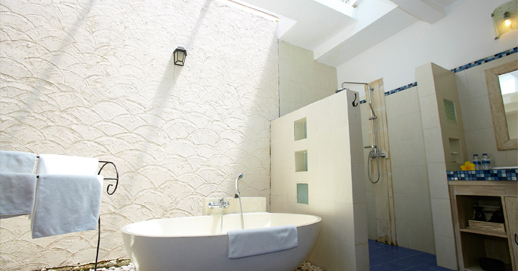 The high ceiling is made from white wash wood and rattan. living room and bedroom which is covered with stone flooring. 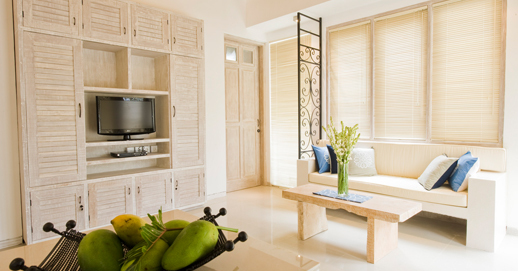 Furnished with white wash color furniture made of natural woods .Fabrics color is navy blue. 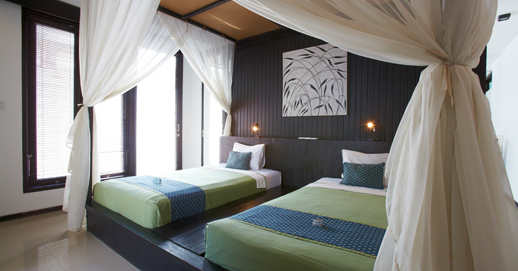 The high ceiling is made from teak wood and rattan. living room and bedroom which is covered with stone flooring. 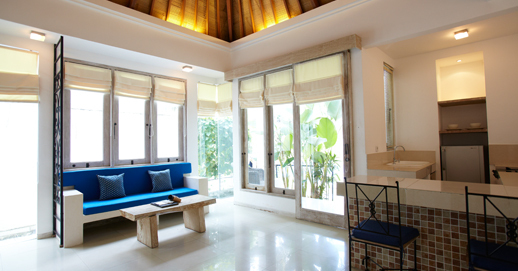 Furnished with teak color furniture made of natural woods .Fabrics color is pastel green. 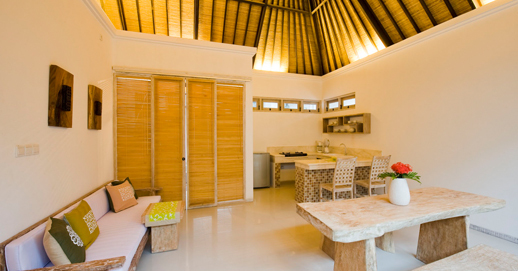 The high ceiling is made from dark brown wood and rattan. living room and bedroom which is covered with stone flooring. Furnished with dark brown color furniture made of natural woods .Fabrics color is pastel green. 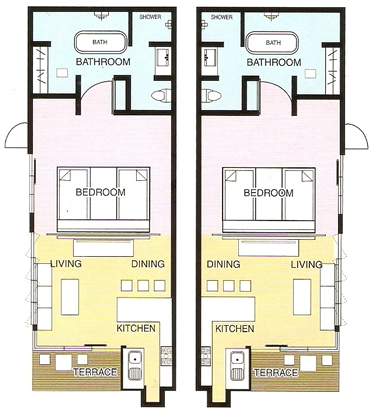 Standard twin bedroom and living/dining room with a set of a dining table and chairs instead of a kitchen counter. 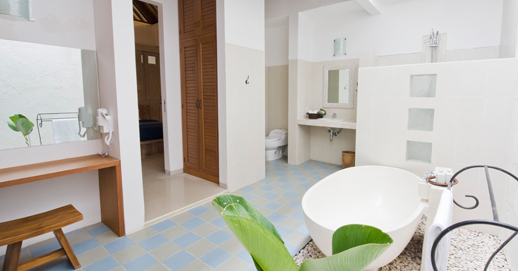 The same facilities as in A1-A5 except for the direct pathway from the pool into the bathroom. 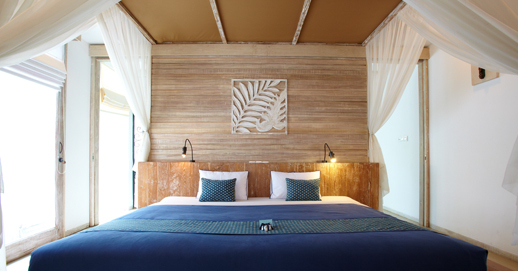 The high ceiling is made from dark brown wood and rattan. 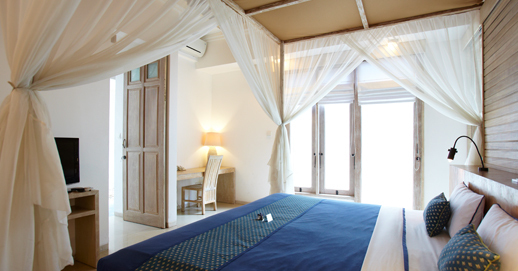 living room and bedroom which is covered with stone flooring. 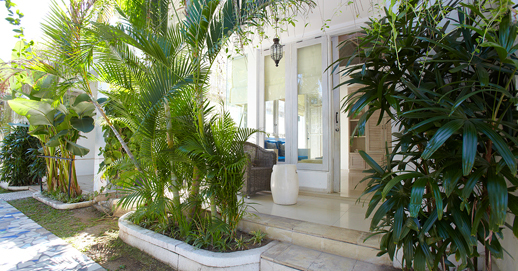 Furnished with white wash color furniture made of natural woods .Fabrics color is pastel green.